For the past few months I've been totally obsessing over lash extensions (especially after seeing Lou Teasdale snap about them). 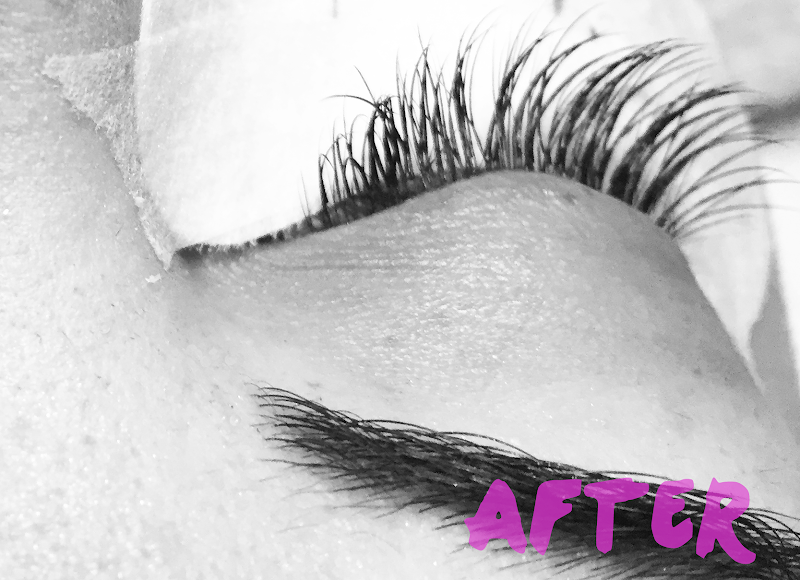 I was lucky enough to meet Shara over at Hela Spa in Georgetown (their lash extension extraordinaire) and get to chat with her about the whole process and experience having them done. I wore full makeup that day (because of work) - but upon arriving I took all of my eye makeup off. I also recommend washing your hair before going. You can't get your lashes wet for at least 24 hours after application - this has to do with the glue needing time to fully dry - so washing your hair before is best. Shara sat down with me and explained a bit of the process before starting as well as tips for how to care for my lashes post application. We also chatted about the style of lashes I wanted (I brought in some inspiration images for her as well). Before starting she applied pads to my lower lashes (so that glue didn't get into them) and combed out my upper lashes. Shara used tweezers and medical grade glue (this is safe on your lashes, but has a super strong bond) to apply a single synthetic individual lash to each of my natural lashes. An important thing to know: lash extensions should always be applied as a single synthetic lash to a single natural lash. They should never be applied like you would individual falses (a knot of three lashes to a lash). This is because a cluster of lashes would be way too heavy for your lashes - thus breaking your natural lashes. The entire process took about two hours or so (including consultation and application). Another thing to note - properly applied lashes should be glued on slightly away from your lash line. This is to allow for the natural movement of your eyes/lashes. If the synthetic lash is applied right to (or too close to) the lash line they will definitely irritate you. Like I mentioned above, you cannot get the lashes wet for at least 24 hours post application - so it's easiest to just go makeup free (or put a small amount of face makeup on the next day). In terms of makeup removers - nothing oil based is allowed (the oil will break down the lash glue thus making the synthetic lashes fall out). Shara suggests getting a travel size bottle of Johnson's Baby Wash (it's safe and gentle on your lashes). During removal don't use any type of cotton pad or wash cloth on your eyes (this will tug and pull at the lashes). Q-tips will become your best friend when removing shadow and liner. When using your face cleanser, Shara suggests placing it no higher than your orbital bone. Same goes for moisturizers. When your skin naturally warms a product like cleanser or moisturizer, the warmth creates movement and the product travels. Regarding makeup products - mascara is pretty much a no-go. They do make extension friendly mascaras, however you really don't need to wear it. 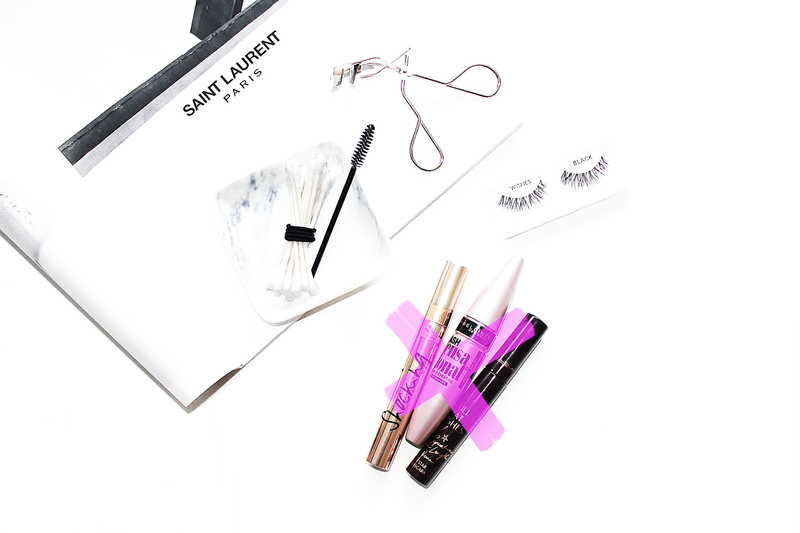 Mascara clings to your natural lashes like crazy, so it makes it even harder to remove from synthetic lashes, thus meaning you are tugging and pulling at your extensions even more than normal. Liner (pencil or liquid) is a-okay, along with eye shadows. Overall, the process is totally painless. The lashes never felt heavy, but it definitely was different having such long lashes. During the day it wasn't so noticeable, but I definitely could tell something was different while doing my makeup in the morning. Having the extra curl and length was definitely an adjustment to my normal eye makeup routine since I save curling/mascara for last during application. 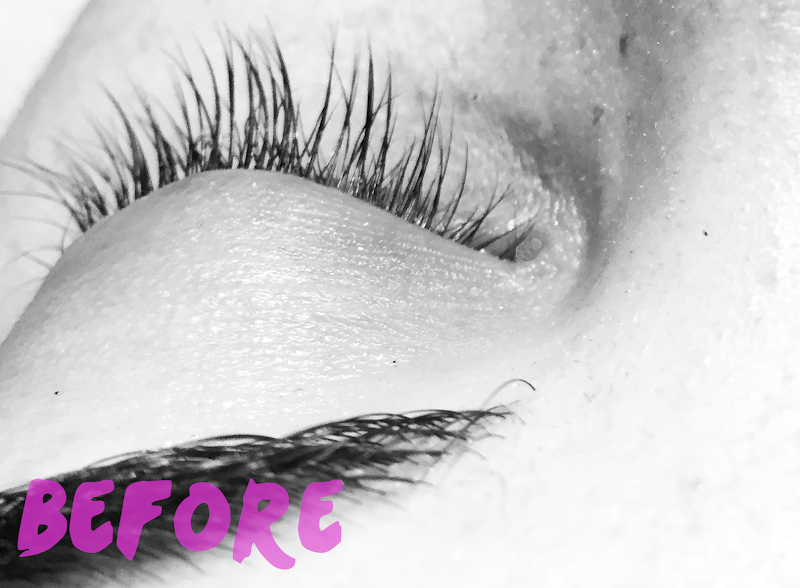 Have any of you ever tried lash extensions before? Would you do lash extensions?